The use of air conditioning is nothing new. In fact, it has been one of the most reliable ways of maintaining a comfortable temperature for several years but that doesn’t mean things don’t change. Although the main principles of the air conditioning unit are the same, the refrigerant of choice is slowly changing. As a result, those who are used to working with HFC refrigerants will need to adopt a new way of working and understand where HFO fluids and blends fit within the HVAC industry. More efforts are being invested to safeguard the environment and are being implemented in various ways. Within the HVAC sector, there have been various changes to ensure that the refrigerant being used has less negative impact on the environment. The risk a certain refrigerant is highlighted by the GWP (Global Warming Potential.) The higher the number, the more risk it poses to the environment. Those who operate within in the HVAC industry will already be aware of refrigerants that have been phased out in the past, such as CFCs and HCFCs. For example, up until 1994, it was commonplace for R22 to be used in many air conditioning units. However, after it was shown that R22 released HCFCs that depleted the ozone layer, the refrigerant was phased out in 2015. The introduction of refrigerant that is kinder to the environment is the next stage of this phase, as is eradicating units with a GWP of 2500+. Plans moving forward look to omit the use of other refrigerants that potentially pose a threat to the environment, with manufacturers only using refrigerants with a low GWP moving forward. On the 1st January 2015, a new EU regulation came into place that dictates there will be a ban on refrigerants with a GWP over 2500 by 2020. Manufacturers will also create units that aid in the safeguarding of the environment. The new refrigerants have been classified as A2L, meaning that they have a low flammability. Although this may not worry some, it’s important that any engineers carrying out work that involves the use of A2L refrigerants are familiar with the refrigerant, and the factors that need to be considered before servicing or repairing an air conditioning unit. The refrigerants being used moving forward vary to that of A1 refrigerants in the way a flame is ignited. Although A2L refrigerants do burn, the burning velocity is lower than 10cm/s. Despite there being difficulty in igniting a flame using A2L refrigerant, this doesn’t mean that diligence isn’t required. This includes ensuring that there isn’t build-up of refrigerant when charging the air conditioning unit. The A2L classification is a compromise between flammability and toxicity, ensuring that health and safety is maintained while safeguarding the environment. The use of R32 will also ensure that the industry as whole can make a smooth transition and ensure that customers are getting the best performance and efficiency from their air conditioning unit. The HVAC industry is one that has seen similar changes in the past, so for the most part, most engineers will take the changes in their stride and ensure that the right practices are being carried out. However, it’s important not to make assumptions when working with air condition units, as there can still be a health and safety risk. Although those who operate in the industry may not be too concerned with a refrigerant being mildly flammable, those having a unit installed may be slightly more concerned. Therefore, its important engineers are fully conversant with the unit they’re working on, allowing them to reassure customers who may be initially alarmed by the classification. If the engineer is working on behalf of a company, then it can be a good idea to roll out some form of training or meeting that ensures that everyone understands the approach and handling required when working with A2L refrigerants. Safety should be at the forefront of any task being carried out, for both the engineer’s sake and the customers. Given the smaller lines sizes and the lower costs of operating an air conditioning unit using A2L refrigerants, it’s understandable why they’re destined to stay for the long-term. It’s important that those working within the HVAC industry do not treat working with A2L refrigerants as an addition but as a change of mindset. As well as knowing how to approach an installation, engineers will also need to ensure that the right tools are being used. 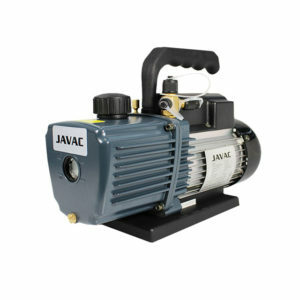 As before, there shouldn’t be any shortcuts when buying equipment such as pumps as recovery units, as they need to be relied upon when working with any type of refrigerant. There is also the transporting of refrigerants to consider. In most instance, the transportation of A2L refrigerants will need to be done via the use of a ventilated van. Documentation may also need to be completed when transporting refrigerant. If there is any doubt in relation to working with the new refrigerant incarnations, then it’s important that any uncertainties are addressed as soon as possible. Just because a flame is less likely to ignite doesn’t mean it won’t in the wrong circumstances. In some instances, a new skill set may not be required but there could be a requirement to work in a different way than before. Of course, units will have their own issues, but knowing the right approach to take each time, helps lessen the impact on the environment and ensures that customers are given a unit that is safe and cost-effective.